​The Techweek19 programme is now live. AUT is an official Strategic Partner and the only NZ university taking part. Hear from Dr Roseanne Ellis and Professor Guy Littlefair about why we're involved. 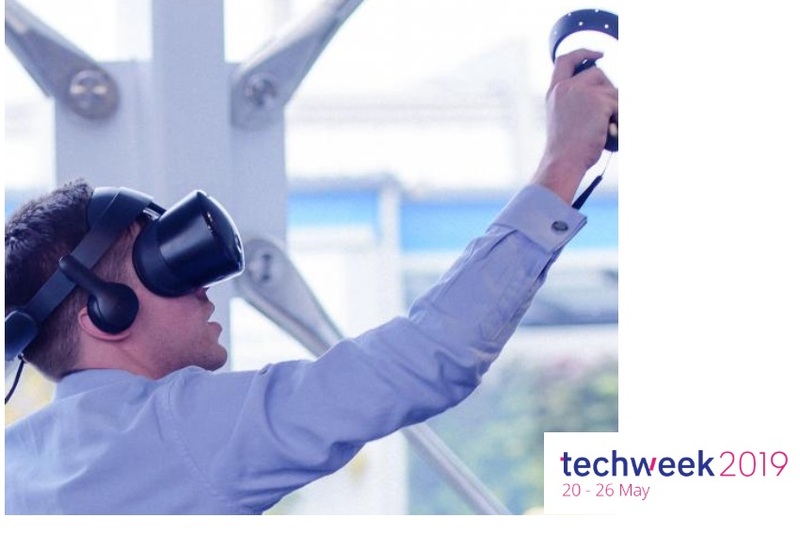 Techweek 19 takes place from 20-26 May with events around the country. As an official Strategic Partner, AUT has a big presence. Not only are we hosting a number of events at City Campus, staff will speak at events and take part in panel discussions. Dr Roseanne Ellis, Director of RIO sums up why AUT is partnering with Techweek19. "There's a real opportunity and potential for us to transform the tech sector in New Zealand and to our high value, productive economy. That's the thing we are seeing with research related to emerging technologies now. Is that the applications and the benefits that can be derived from it are so diverse." Pro Vice-Chancellor and Dean of the Faculty of Creative and Design Technologies, Professor Guy Littlefair said Techweek19 is a real opportunity for AUT to get involved because technology really is at the roots and heart of how we drive our research agendas for the benefit of New Zealand. "It's so important we focus on the young talent. We have expertise in Artificial Intelligence, in robotics, in the sport and MedTech area and it's really important that we support the sector but we also demonstrate the great things we do around our graduates, our courses, our programmes and our research areas." The event's success led NZTech to join forces with Auckland's economic development agency, Auckland Tourism, Events and Economic Development (ATEED), to produce TechweekAKL in 2016 – a festival of innovation ecosystem events. TechweekAKL 2016 was an Auckland-wide festival with 55 events across 10 days, attended by 10,000 people. It was a colossal success, so in 2017, TechweekAKL became TechweekNZ: a nationwide initiative with a curated programme focused on 'finding local answers to global questions'. Techweek'17 included 287 events in 24 locations and hosted more than 20,000 New Zealanders and visitors over 9 days. The intention behind Techweek is simple. New Zealand's technology and innovation sectors are growing rapidly, and Techweek fosters that growth by providing the national ecosystem with a week-long opportunity for connection and cross-pollination, using an independent platform to amplify New Zealand's unique and inspiring innovation stories to the world.